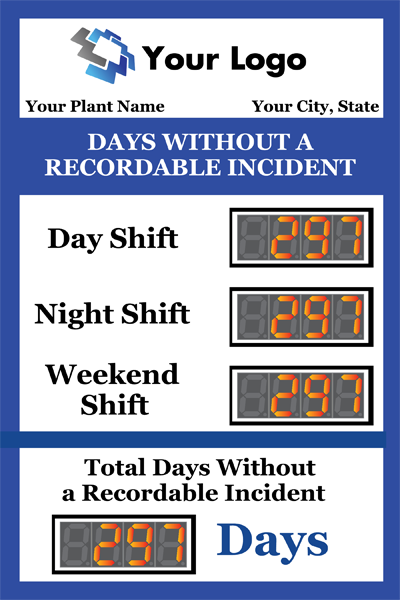 Order your fully customizable days without accident sign and start tracking for up to four departments. 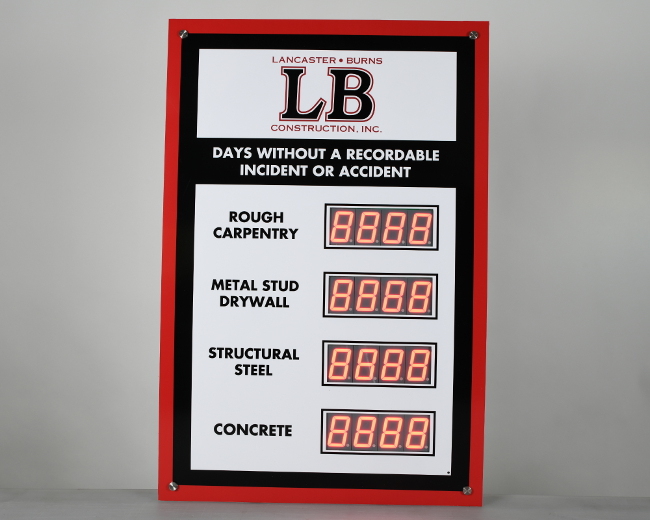 Digit height for these highly visible displays is 2.3”. 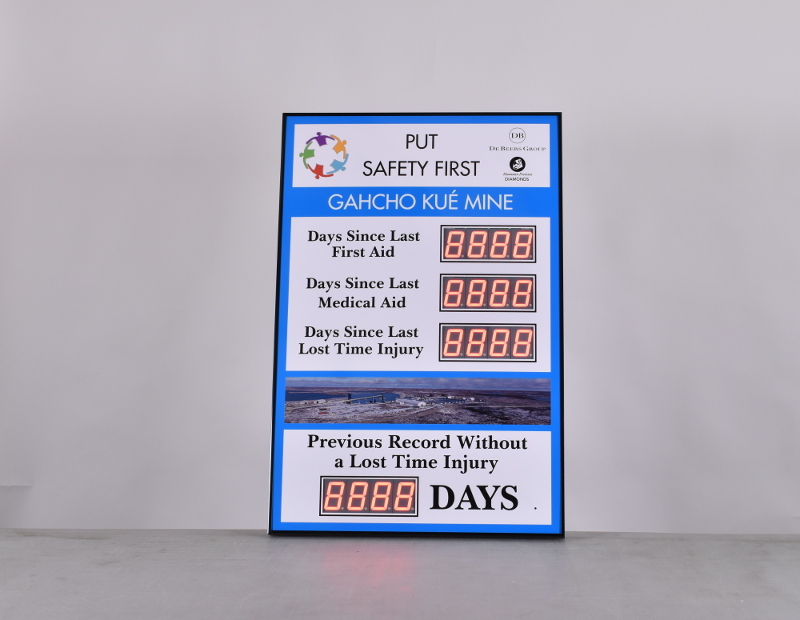 Workplace safety procedures establish your expectations for your employees, but you need them to actively participate and pay attention to the procedures to maintain a safe workplace. Engage your employees in safety awareness activities on a regular basis to keep the safety procedures fresh in their minds. 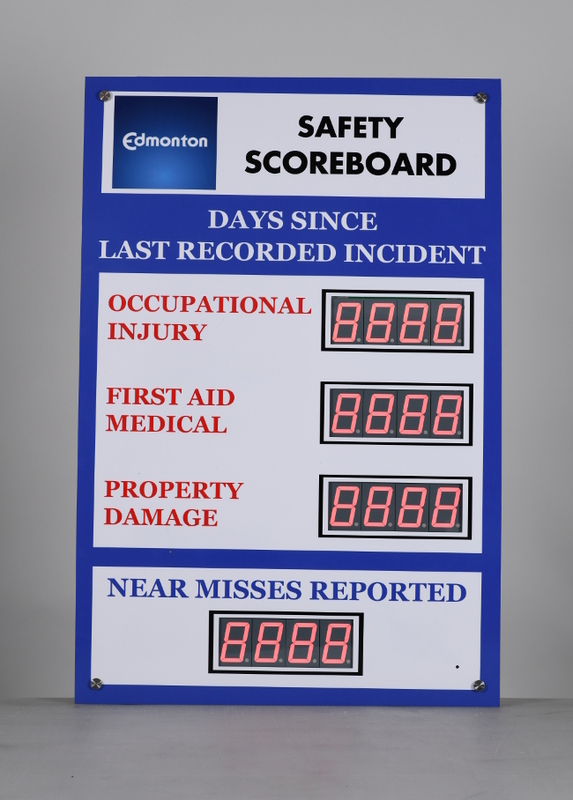 Everyone will be looking at this 36" high by 24" wide custom safety scoreboard. 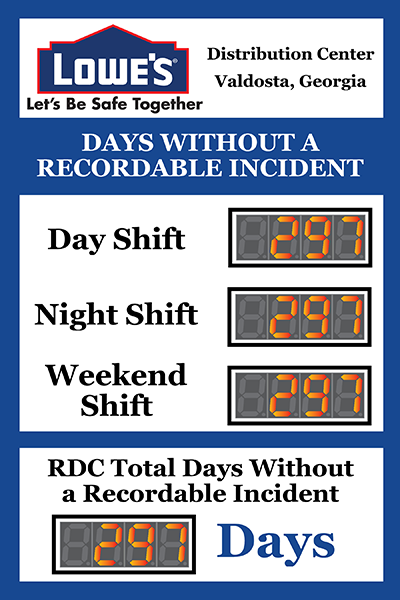 Track the number of days that multiple business areas have stayed safe with each of the four counter modules. 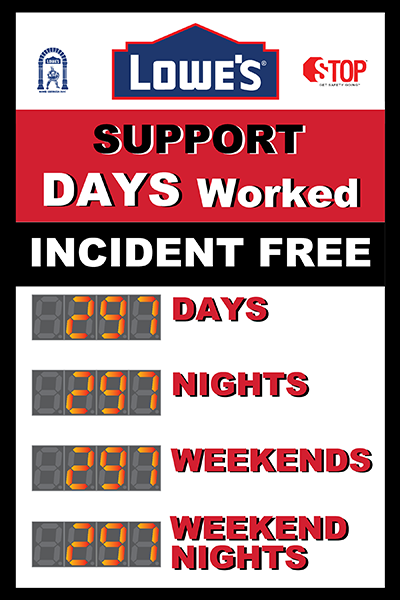 Each counter is four digits with a digit height of 2.3". 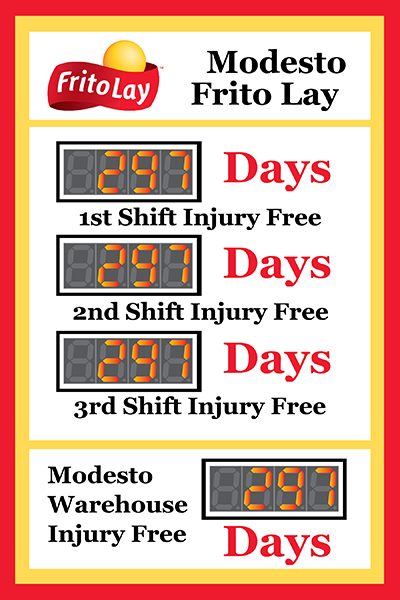 You can track four teams or track two teams and a safety record for each. You choose by making use of our online designer to customize the graphics and layout of the modules. We'll setup the counters to provide the correct functionality based on your design, but rest assured each module is configurable by the user at any time.